Two young people meet in southern Taiwan’s salt flats and fall in love. But Ming-Yueh’s parents disapprove of her boyfriend Da-Fang, and arrange for their daughter to marry a man who turns out to be a dissolute gambler. This mistake brings much hardship to Ming-Yueh, but she never stops loving the boy she met in the fields. When fate conspires to give the young sweethearts another chance at happiness, the weight of tradition and familial duty is heavy on their heads and once again they are pulled apart. But Ming-Yueh’s continued love for Da-Fang is what gives her sustenance and the hope to carry on, so she buries it deep in her heart. Tsai Suh-Fen is a master storyteller. Not only does she bring to life the people of Qigu, Tainan, but also the way traditional patriarchy and the dominance of parents over their children has the power to destroy the lives of the young. Her prose is vivid and precise, just like her characters, whose seemingly quiet acceptance masks the rich and dramatic realities of their inner worlds. Taiwan has since undergone dramatic social change and many of these customs are disappearing just as the saltpans have done already. This book records a moment in Taiwan’s recent history, a society then on the cusp of modernity. 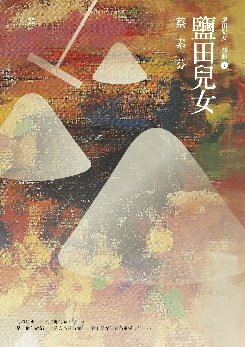 This is a beautiful and moving story and an undisputed classic of Taiwanese literature.